For smaller groups (1 to 8 passengers), consider the Lincoln MKT stretch limo, or the Lincoln Town Car stretch limo. Either one is perfect for a ride to Disneyland, wine tasting tours, nights out, anniversaries, Las Vegas and more. 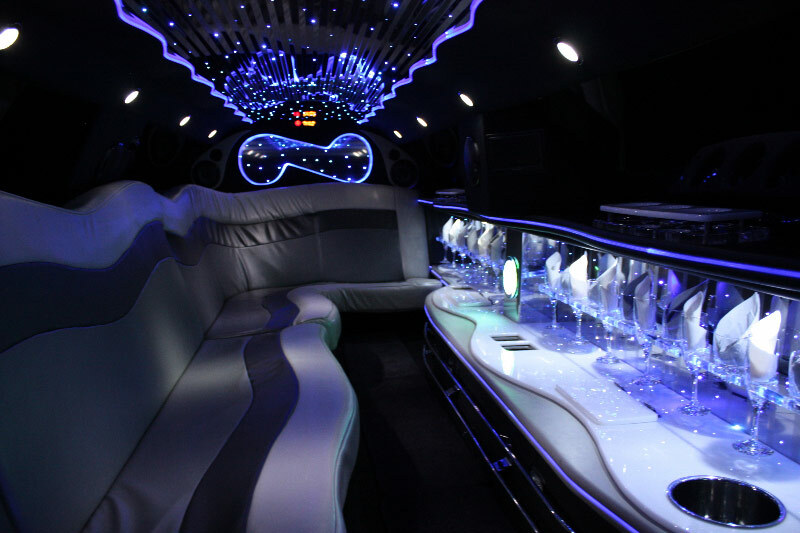 For larger groups (9 to 18 passengers), a Cadillac Escalade super stretch SUV limo or Chevy Suburban super stretch SUV limo are fantastic choices – for a birthday party, bachelor / bachelorette party, clubbing. The whole group can have a great time, with no worries about traffic, parking, drinking and driving. For even larger groups (19 to 40 passengers), well, you’re gonna need the ultimate in size and luxury, the limo party bus. No matter what the plan for the night; cruising Hollywood, sporting event, or just a night out with your entire company, when you’re in one of these bad boys, the sky is the limit. 1) Everyone will have a blast! 2) It’s worth it, when you consider all the risks that go with driving yourself (especially drinking and driving). 3) No problems finding parking, no traffic to deal with. 4) Going out to a club? The chauffeur will be out front when you need him, so no long walks to the car. 5) Taking a long trip? Sleep on the way, party on the way, sit back and relax… it’s up to you, all in the comfort of a luxury limousine. 6) Wine Tasting? Enough said. 7) Prom? Split the cost among everyone, and show up in style. 8) Wedding? The bride and groom, friends and family, all can be accommodated. 9) Bachelor / Bachelorette party? It’s the only way to go. 10) Concert with friends? Have the pre-party on the way. There are countless other reason to “go limo”, but this should at least give you some ideas, so when you call us or visit our website, you’ll have a better idea what to look for when choosing your perfect Los Angeles limousine. Thanks for reading! See you in the limo!